From May 7. 2012 you will find in all music stores and digital the new album of Danilo Rossi and Stefano Bezziccheri, “La viola romantica” (CD+DVD). Continue the valuable collaboration between Limenmusic and two leading musicians, First Viola Soloist of La Scala Theatre in Milan, M° Danilo Rossi and the pianist Stefano Bezziccheri. In this third volume they proposed to the public a repertoire organized around the theme of romanticism, an adjective that over time has been subject of so intense historical debates and critical ambiguities. Here are the executions of three authors who, while remaining distant musically and personally, are linked by the use of the same romantic language: Schumann, Schubert and Glinka: a very close and continuous dialogue between soloist and accompaniment able, once again, to create a slow and thoughtful atmosphere. 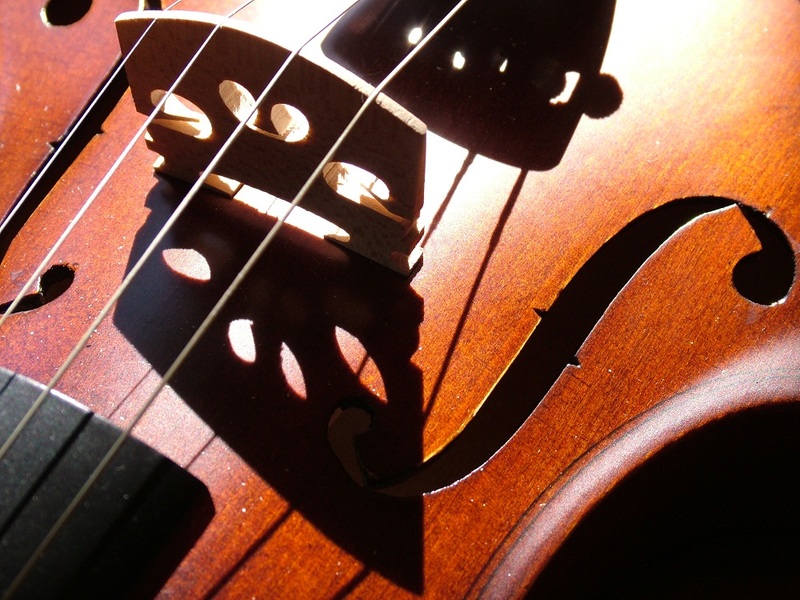 The main theme is Shostakovich’s Sonata for viola and piano, Op. 147. During the lesson Danilo Rossi will talk about his latest discografical production, in collaboration with the italian pianist Stefano Bezziccheri: “La viola del ’900“. In this CD you will find this beautiful Sonata written by Dmitri Shostakovich in 1975. During the lesson Danilo Rossi will talk about his latest discografical production, in collaboration with the italian pianist Stefano Bezziccheri: “La viola del ‘900“. 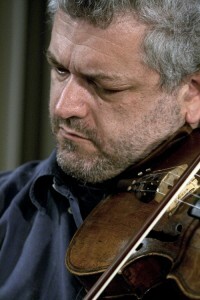 Danilo Rossi, prima viola dell’Orchestra del Teatro alla Scala, da anni frequenta come solista praticamente l’intero repertorio dedicato al proprio strumento. In questa nuova incisione egli propone tre pagine fondamentali appartenenti alla letteratura del Novecento. La Sonata Op. 1 n. 4 di Paul Hindemith, violista lui stesso, fu completata nel 1919. É uno studio sulla variazione: il secondo e il terzo movimento sono, infatti, rispettivamente un Thema mit Variationen e un Finale mit Variationen, e sono collocati dopo un’ammaliante Fantasia iniziale di gusto rapsodico. Danilo Rossi e Stefano Bezziccheri non rinunciano qui alla passione e a un suono carnoso che occhieggia ancora al secolo precedente. Nelle Lacymae op. 48 (1950) anche Benjamin Britten si misura con la forma antica della variazione, traendone una pagina sfuggente e carica di tensione. Il tema “If my complaints could passion move” di John Dowland viene suddiviso in due sezioni, la prima delle quali serve da base per dieci variazioni mentre la seconda si discioglie in una distensiva coda: Rossi sa mantenere una temperatura emozionale elevatissima in tutto il brano, mettendo in evidenza anche le rifrazioni del proprio Maggini. L’estremo lavoro di Dmitri Shostakovich, l’enigmatica Sonata Op. 147 (1975), da modo, infine, a Rossi e Bezziccheri di esprimersi anche in un clima più crepuscolare, a volte astratto, ma pur sempre molto intenso. La buona registrazione è inficiata da un rumore di fondo talvolta fastidioso (credo che si tratti di soffi del solista). Anna Menichetti presents the new CD of Danilo Rossi, first viola soloist of the Theatre and Philharmonic Orchestra of Scala in Milan, and Stefano Bezziccheri, named “La viola del ‘900”. 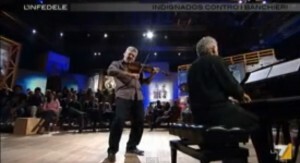 Danilo Rossi and Stefano Bezziccheri at “L’infedele”, La7…Enjoy!!! Continua la collaborazione tra il programma di Gad Lerner, “L’infedele” e l’orchestra del Teatro alla Scala di Milano. 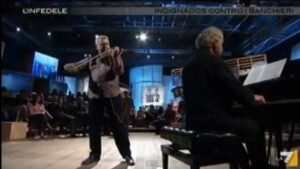 In questa puntata i protagonisti sono stati Danilo Rossi, Prima Viola Solista dell’Orchestra Scaligera, e Stefano Bezziccheri, pianista d’eccezione che da oltre vent’anni accompagna il M° Rossi al pianoforte. Danilo Rossi, first viola soloist of the Theatre and Philharmonic Oschestras of Scala in Milan, accompanied by Stefano Bezziccheri at the piano, in concert. At “L’infedele”, on La7 (Italian television). Here are some extracts from the episode. musics by: Edward Benjamin Britten, Paul Hindemith and Dmitri Shostakovic. In the wide repertoire for viola and piano, there are three works that better than other can reflect the developments and changes in music landscape of the Twentieth: Lacrymae Op. 48 by Benjamin Britten, Paul Hindemith’s Sonata Op. 11 n. 4 and Shostakovic’s Sonata Op. 147. 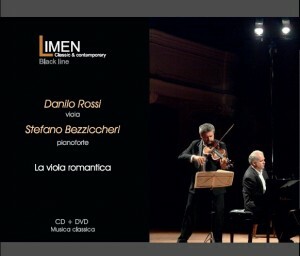 That compositions are protagonist of this CD, in which the intensive and passionate executions of Danilo Rossi, First Viola Soloist of La Scala Theatre in Milan, accompanied at the piano by M° Stefano Bezziccheri, will take the listener to the discover of the discreet and warm sound of the viola. This is the second volume of a wide discographical project, which aim is to collect in 6 album the main music for viola and piano, which pays tribute to the greatest composers who have written for this ensemble. 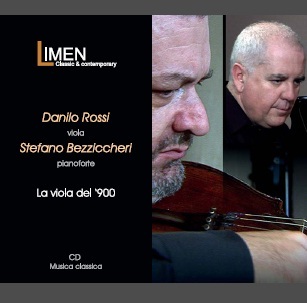 Danilo Rossi and Stefano Bezziccheri present their latest discographical production: “La viola del ‘900”, at Traiettorie 2011, the XXI International review of modern and contemporary music. This CD is dedicated to three pieces for viola and piano that, better than others, can reflects developments and changes in music landascape of the Twentieth: Lacrymae Op. 48 by Benjamin Britten, Paul Hindemith’s Sonata Op. 11 n. 4 and Shostakovic’s Sonata Op. 147. At 7:00 p.m. (GMT+1): presentation of the CD with Danilo Rossi, Stefano Bezziccheri and Anna Menichetti. For more info, please, click here. 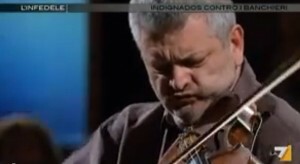 Danilo Rossi, First Viola Soloist of La Scala Theater in Milano, accompanied by Stefano Bezziccheri at the piano, performs Johannes Brahms’ Sonata n. 1 Op. 120, initially wrote for clarinet and piano and dedicated to the clarinetist Richard Mühlfeld, and then transcripted for viola. The intensity of this work is enhanced by the the wonderful “viola Maggini” of the seventeenth century, which once belonged to the great Dino Asciolla and was kindly loaned by Valeria Mariconda Asciolla. An intensive, reliable and suggestive execution, presented last November 18th 2010 at the Ridotto dei Palchi “A. Toscanini” of La Scala Theater in Milano, earning accolades from the audience. This pieces is part of the album (CD+DVD): “Joannes Brahms – Sonate”, born from the collaboration between Limenmusic, Danilo Rossi and Stefano Bezziccheri. For more info about the album, please click here.